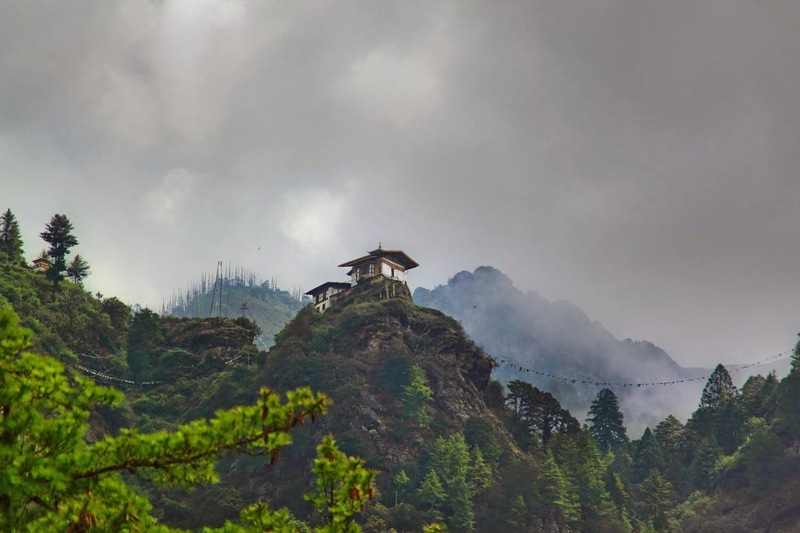 Rain Soaked Beauty of Bhutan - In Pictures ~ The Wandering Soul's Wander Tales..
Every year, between June and October, I've been dedicatedly returning to the Indian forests and mountains to experience the wonder that is Monsoon Magic! But earlier this year in June, I ended up chasing monsoons in Bhutan as well. Considering how pristine the countryside and wilderness is in Bhutan, it was a delightful time to be there. I think, only a snow-ridden winter visit can top what I've seen in those misty rain soaked days. Without further ado, here's a glimpse of my monsoon escapade in the Land of Thunder Dragon! This is why Bhutan is called the last Shangri-La! Look at the mist covered mountains and monasteries perched on impossible cliffs. Woke up to this view for 3 days and it will never cease to amaze me - a perfect memory from a beautiful country. Beautiful Rhododendron bloom welcoming me in Bhutan as well. I had seen these flowers adorn the forests of Sikkim (Goecha La Trek) just the month before and couldn't get enough of it. Luckily, the season was still on and I got to see much more of these pretty flowers during my time in Bhutan. This is where fairies must be living or probably this is the Shire! Clusters of pretty houses in a narrow valley between pine covered mountain slopes. I was impressed by how well the wilderness areas were protected in Bhutan. They have, after all, vowed to keep at least 60% of the country under forest cover. Bhutan is primarily an Agrarian country and this is why you will find lush green fields everywhere you go. In the monsoons, it is a sight to behold as you can see. My tryst with the forests of Bhutan was fleeting and nominal because trekking in Bhutan will burn a deep hole in my pocket. So I had to suffice with the roadside stops to peer into the lush greenery. But you can imagine how beautiful the country is, if I could get views like this just from the road! Monsoon is my favorite season not just because of the mist and greenery but because of all the wild flowers it brings. I followed a trail going up a mountain and ended up in a sea of wild flowers of every shape and color! Also ended getting very lucky with sighting this super rare Blue Himalayan Poppy! One of the several Rice Bowls of Bhutan, Paro and it's green fields shining despite a dark stormy sky! Last rays of the day during the last few hours in Bhutan, just few kilometers from India. . See how the hills of Bhutan are reducing to plains of India? So where have you been chasing monsoons this season? Tell me in the comments! Thanks Aathira, a pristine place in monsoons is just that, breathtaking! :) How was your trip btw? Brilliant frames, Neelima. Bhutan is absolutely gorgeous. Thanks Niranjan, yeah, Bhutan was quite spectacular! Wow! It does look like a fairyland! It is Aarthy, they have maintained their natural wealth so well. Such a beautiful place, I can see from these photographs, why People of Bhutan are one of the Happiest population in world. Monsoons truly make a green place like Bhutan even more beautiful! I havent gone further than Lonavla during the Monsoons but your scenic pictures are definitely telling me to plan a trip to Bhutan. It is truly spectacular! Beautiful article like your photographs. Loved it and Thanx for sharing.